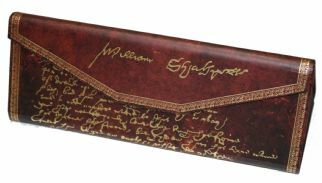 This is a beautiful paperblanks glasses case decorated with a fragment of Shakespeare's handwriting. 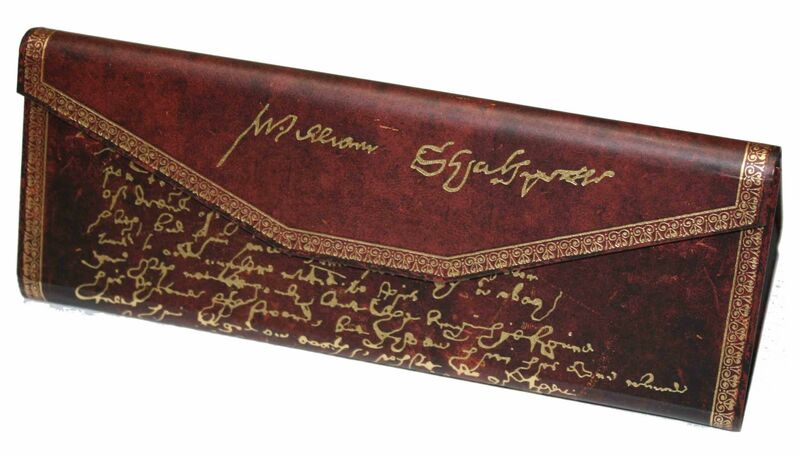 This generously sized case should hold any glasses, reading glasses or sunglasses. Folds flat when not in use for easy carrying and storage. The picture does not do the specs case justice. It's very neatly made, beautiful quality and will fit most specs (apart from very large frames). 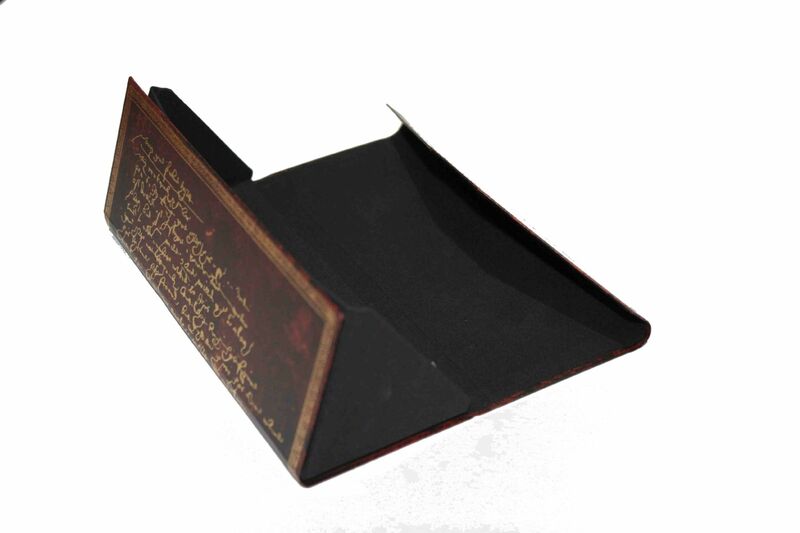 The Shakespeare inscriptions give it unusual flair! I'm delighted with mine and it would make an unusual Christmas present.